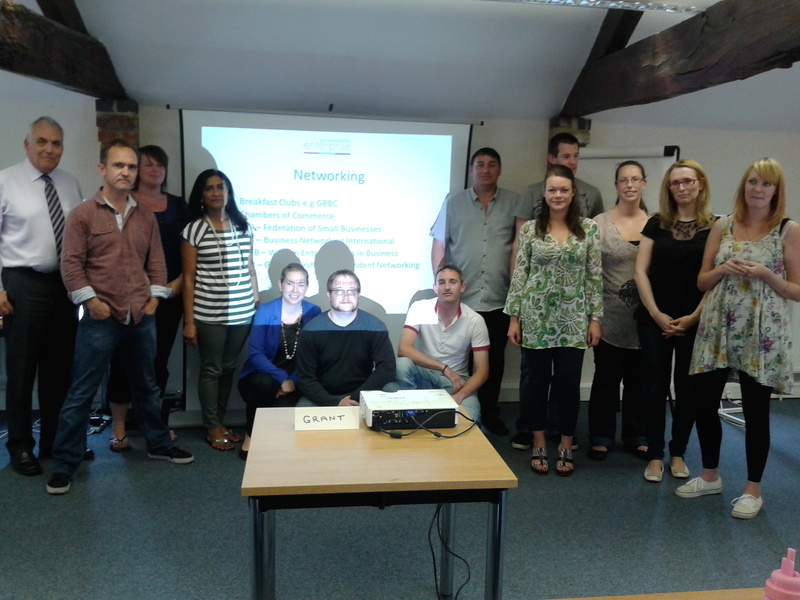 Also known as the 2-day Business Start up Course from Gloucestershire Enterprise. The business start up crew with trainer, Grant. The first day was rammed with info about finance, tax, business plans and legalities. It was more of a whistle stop tour which left you with a ‘to do’ list for after the course, but I think that was actually really effective because it meant we covered far more ground than we could have otherwise and I don’t like vague theory based training, which this certainly wasn’t. You also got a data-stick full of useful documents as a going home present. Day 2 focused on marketing and sales, which gave some good structure to my random selection of ideas of “things I should do” scribbled on bits of paper at home. We also had a short talk from the Federation of Small Businesses which I am definitely going to join. A wise friend of mine who runs a health food shop had already recommended it, but I hadn’t realised quite how extensive the member benefits are. Printing and mailing service for 42p per letter. 42p! That’s less than the price of a second class stamp alone. You could mail all your customers whenever you liked, just to say hello, at that price. I’m sure the free legal support and low cost insurance is good too, but 42p! One of the great things about this and the Enterprise club, was the range of business ideas in the room. Having been warned off business workshops by a visual artist who said it was all about buying stock and selling it on at a 50% mark up, I was pleasantly surprised. Among the cash flow forecasts, enthusiastic dissing of example marketing materials and Mallet’s mallet style round of “name a piece of employment law legislation”, I met some great people. Business ideas ranged from hypnotherapy to Polish language lessons, play tents to private hire, accountancy to childcare. I have met people planning skateboard parks, beauty salons, copywriting services, engineering, web design and plumbing. In the midst of all that, an art playground didn’t seem quite so random.